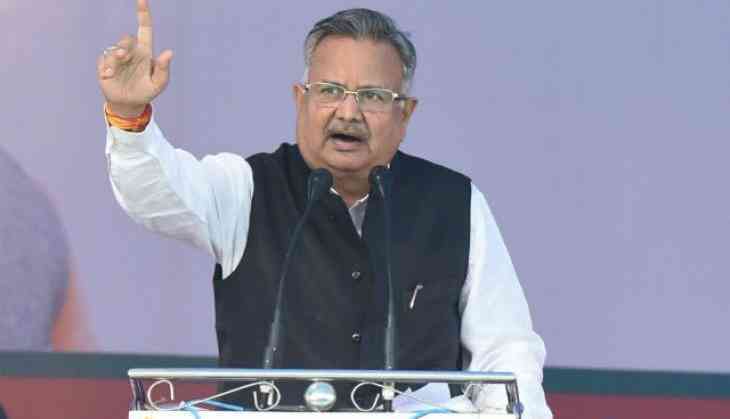 Chhattisgarh Chief Minister Raman Singh on Sunday said that his state is the first among the 28 other states in the country to provide Right to Skills' Development to the youth. "Chhattisgarh is the first state in the country to provide Right to Skills' Development to the youth here. Around 2.7 lakh youth has already been employed in several fields. Trained individuals have also been working in cities like Bengaluru and Chennai," Singh said while addressing a public rally in Raipur. The Chief Minister's comments came after he along with Union Minister of State for Skill Development Anant Kumar Hegde flagged off fifteen Skill Chariots to launch the government's project of 'Skills on Wheels' in the state. The chariots, which aimed at creating awareness regarding the project, will tour 13 districts in the first phase (August 17 to 31) and the rest 14 in the second phase (September 2 to 17). Hailing the Union Government's Skills on Wheels scheme, Singh said that it would enhance the skills of the rural youth and strongly open the possibilities of self-employment in the state. "The Central Government's 'Skills on Wheels' scheme will enhance the skills of the rural youth and help them become self-employed. The State Government will ensure that it provides training to the last youth here," Singh added. The elections for the Chattisgarh Legislative Assembly will be held this year to elect members from 90 constituencies.